Last week London Craft Week was held between the 3rd -7th of May and it was a great success. Featuring hidden workshops, independent makers, unsung engineers, national museums, contemporary galleries and heritage craftsmen, it was a cultural experience in the broadest sense of the word. 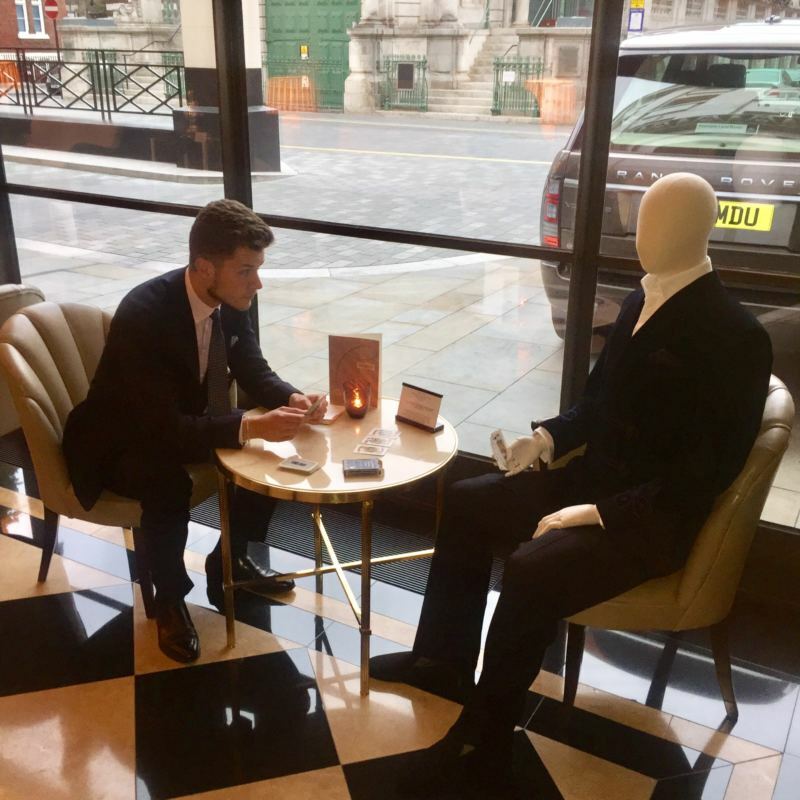 Anderson & Sheppard were very pleased to be involved, in collaboration with Beaumont Hotel founder and CEO, Jeremy King OBE, and other Savile Row tailors and St James’s shirtmakers and shoemakers we brought to life a bespoke capsule wardrobe. 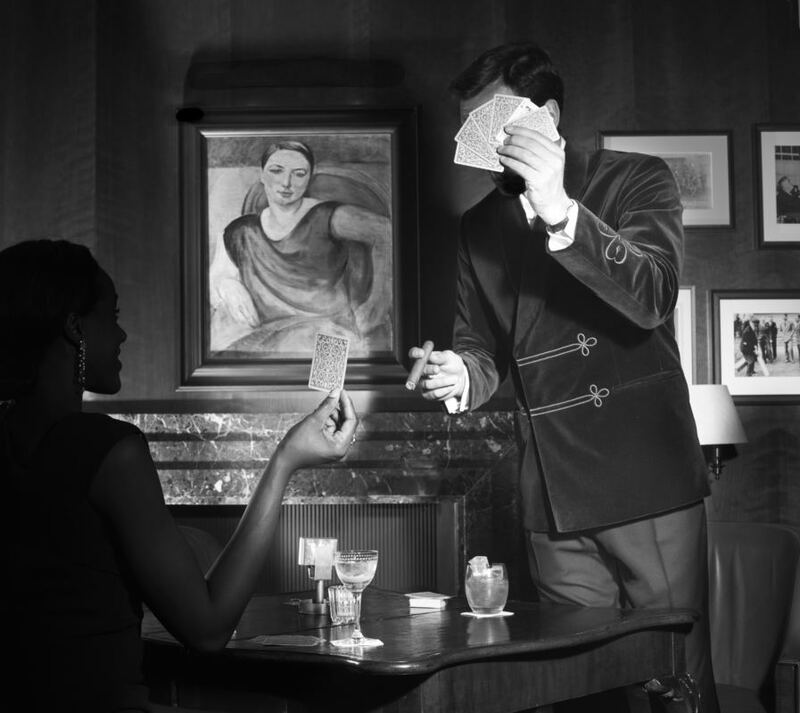 Each tailor produced an outfit for Jimmy Beaumont, a fictional character invented by Jeremy to inform the interior design of the 1926 hotel building. 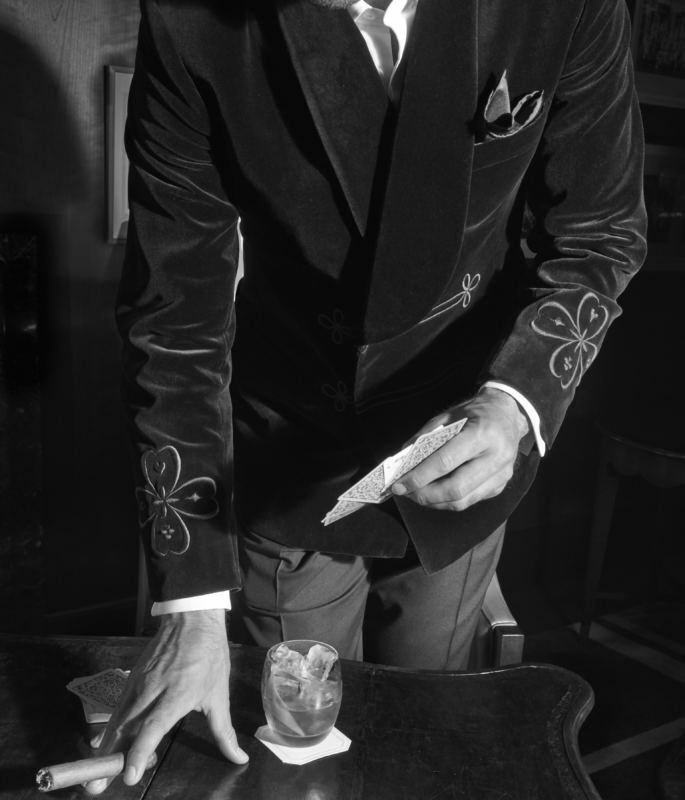 With the information we gathered about Jimmy from Jeremy we discovered that Jimmy loved to play poker and after some discussion we thought a smoking jacket would be perfect for the him. 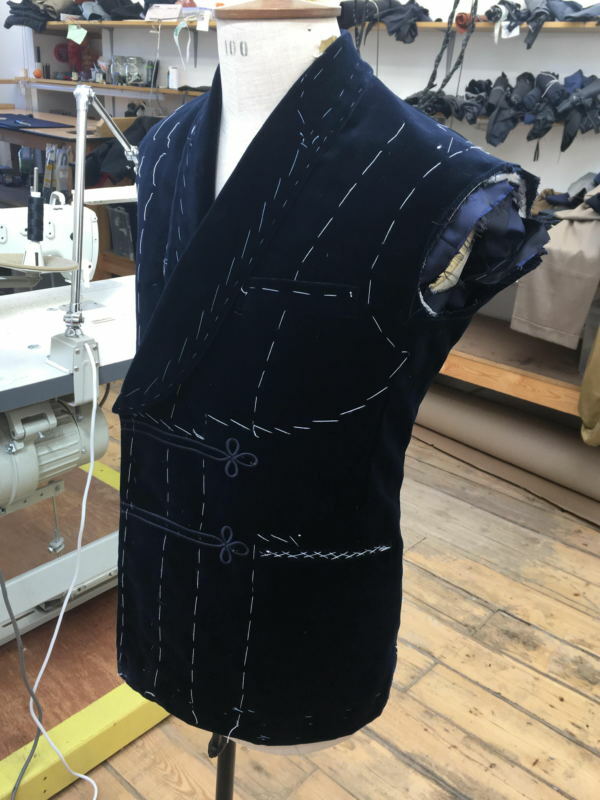 We made a double breasted embroidered velvet smoking jacket with shawl collar and midnight blue fine herringbone braided dress trousers. 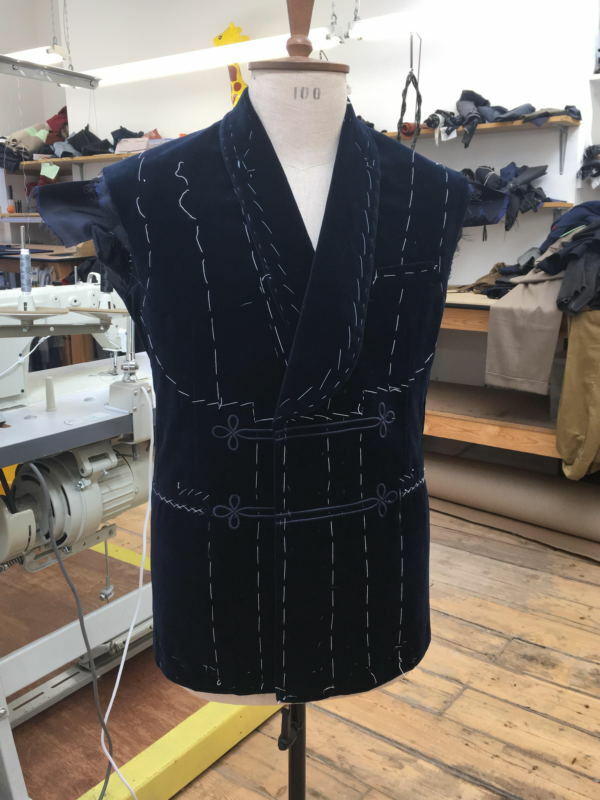 The jacket was cut by Leslie Haynes and apprentice Matthew Borkowski and the trousers were cut by Oliver Spencer. Jennie McWalter and her apprentice Liberty Clayton made the jacket and Demos Apostolou made the trousers. The embroidery on jackets cuff and front was done by Hawthorne & Heaney. 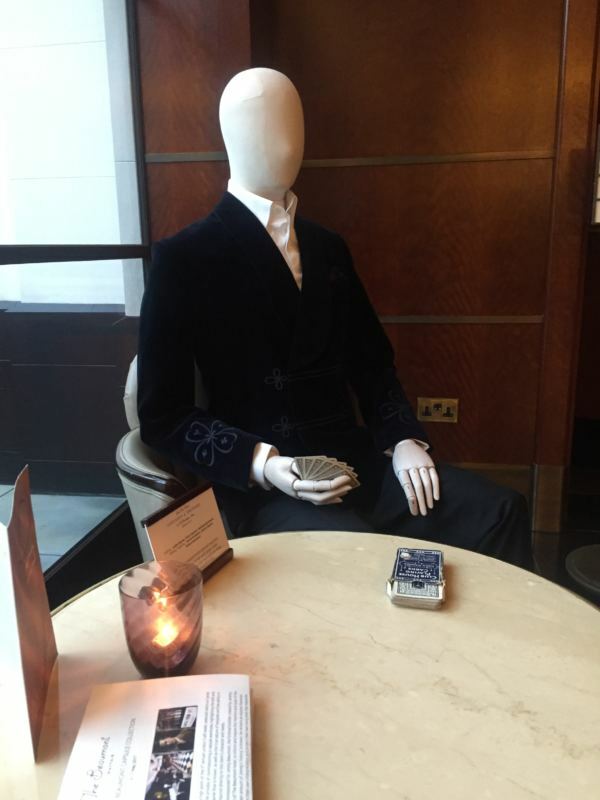 The jackets were displayed at the Beaumont hotel for a day along with the other commissions from Savile Row tailors and our Jimmy Beaumont mannequin sat in the lobby with his favourite pack of cards. Many thanks to Jeremy King, Martine de Gues and Agnese Kupra for hosting the Jimmy Beaumont Dinner at the Beaumont Hotel. It was a wonderful evening to celebrate such gorgeous bespoke pieces. 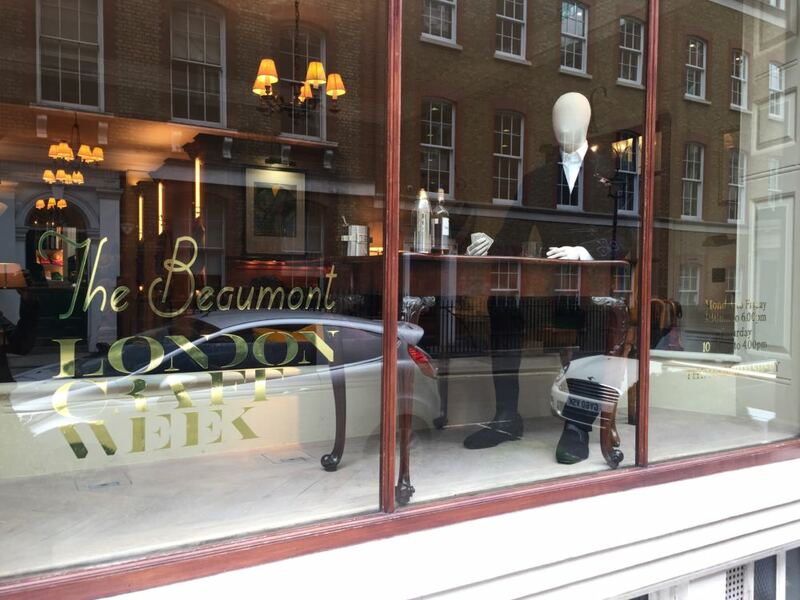 Our smoking jacket is still available to view in the Haberdashery window for another week.